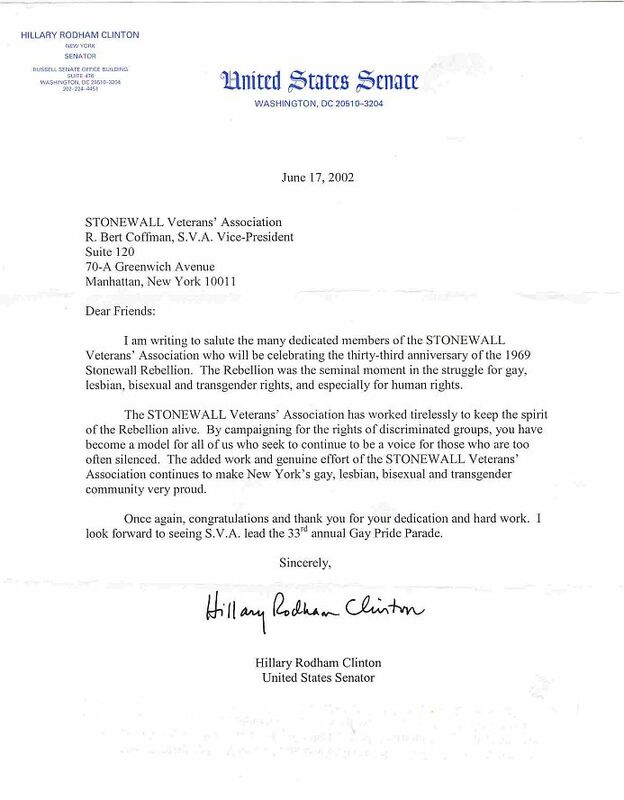 Senator Hillary Clinton is the first public official to get a 39th anniversary letter to the STONEWALL Veterans' Association. This was thoughtfully undertaken without being requested. It was greenlighted by the Senator even with her personally running a challenging, full-scale, national presidential campaign! Hats off to Hill! as promised by her staff and in advance of our special June 27th event. Letter has been distributed to S.V.A. members and S.V.A. supporters. 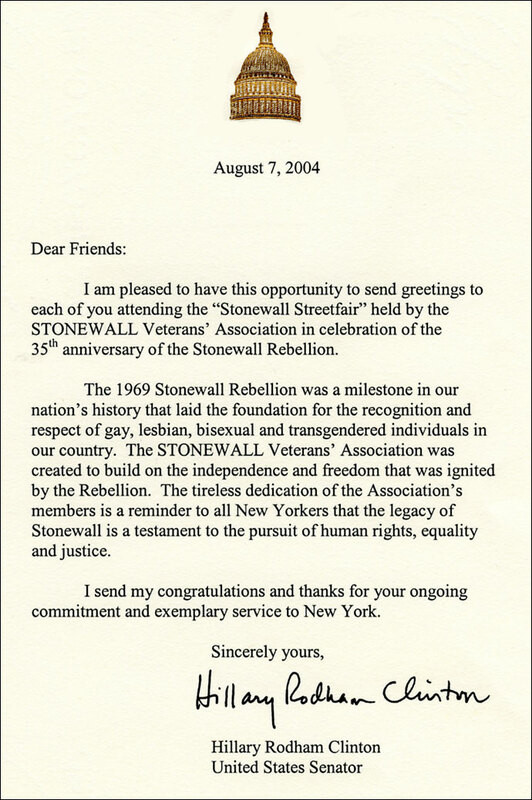 Stonewall Rebellion with the STONEWALL Veterans' Association." The original letter (w/ gold dome) will be scanned and placed here during July. 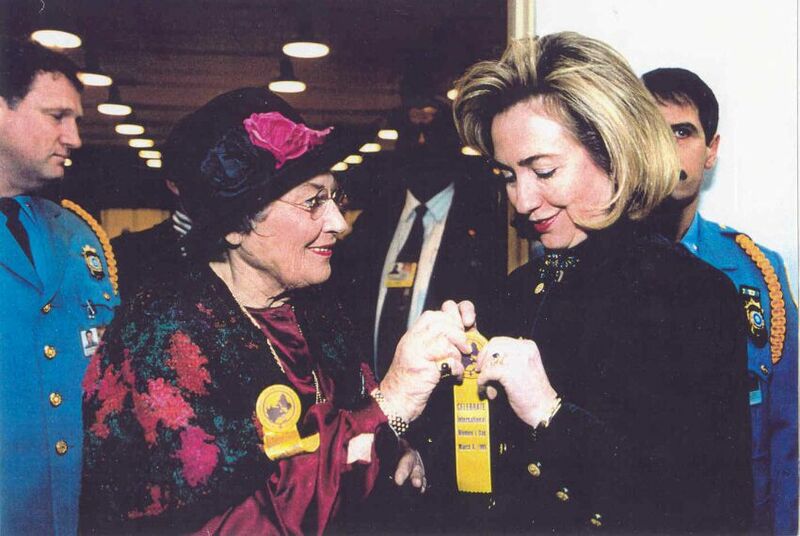 U.S. Congressmember Bella S. Abzug (served 1971-1976) and U.S. First Lady Hillary R. Clinton (served 1993-2001), both special guest speakers, share a poignant moment celebrating "International Women's Day" at the United Nations World Conference on Social Development on Wednesday, March 1, 1995, in Copenhagen, the capital city of Denmark -- notice the colorful uniforms. What do these two legends have in common regarding the Gay, Lesbian, Bi and Transgender ("GLBT") community, besides being avid advocates? 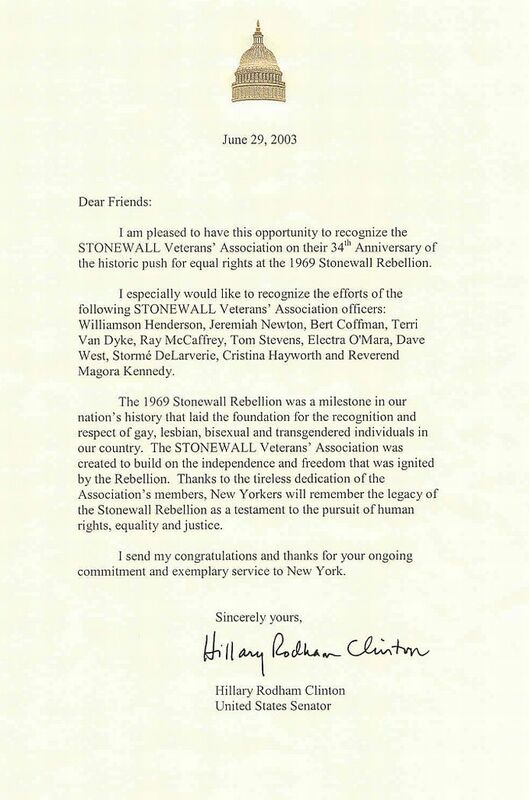 Both legendary women are recognized supporters of the STONEWALL Veterans' Association ("S.V.A.") and both have marched many times in the annual New York City Gay Pride Parade in Manhattan.